#Hack Everything, to change what? In the last 10 years, one of the most significant transformations in the subculture of computer hacking is that it has become mainstream. For instance, it is quite common to read in tech magazines such as Make that curtain rings used to hang bananas are a “banana hook hack” (Torrone 2006), that taking macro pictures by mating lenses together is a “macro lens hack” (Cunningham 2008), and that amateur tax evasion is a “tax hack” (Torrone 2010). As computer hacking hits the mainstream, discussions arise on the use of the “original” terms (Branwyn 2015), new modes of distinctions emerge. The semiotic-material productions of the subculture, with their capacity to produce meaning and agency, are borrowed and adopted as much as reused, co-opted, or recuperated. Some even propose that “hacking is being hacked” (Söderberg and Delfanti 2015). Cosmo ups the ante on hacking. Link. In this piece I take the example of biohacking to argue that this borrowing of semiotic-material productions actually might have precluded biohackers and DIYbio members from elaborating situated, nuanced articulations of their personal and collective experiences of becoming or being life scientists in the age of “Big Biology”. The example of biohacking tells us that by becoming mainstream, the semiotic-material productions of computer hacking might have turned into a “reusable past,” if not worn-out semiotic-material productions; a practice that becomes so normal that it is easy to appreciate what it enables while it is difficult to acknowledge what it obscures. I conclude by inviting adopters of biohacking to engage with some hands-on fabulations drawn from companion accounts and agential heterogeneities rooted in feminist, race, environmental, and labor politics. The composite neologism “biohacking” was first used by Michael Schrage in a minor article published in The Washington Post in 1988. Under the title “Playing God in the Basement,” Schrage, who now describes himself as “one of the world’s most innovative thought leaders on innovation,” made a revelatory forecast. Based on the opinions of influential figures such as distinguished professors and chief scientists of major biotech companies, Schrage proposed that the analogy between personal computers and biotechnology was ripe, and as such, the “rise of the Bio-hacker” was to be expected. 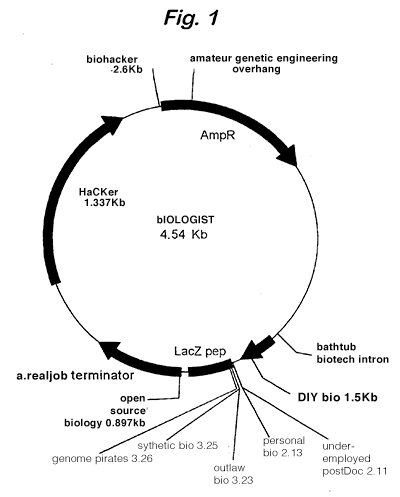 According to the director of BioTechnica International, recombinant DNA technologies were becoming generally easier to use and had declined in costs, thus begging a parallel with the microprocessor industry; sociologist Everett Rogers, who studied the subculture of computer hackers, claimed that as hackers found in the computer a medium to express themselves in creative and artistic ways, a similar subculture could soon arise around DNA. Another expert argued that the analogy was oversimplified and flawed; however, the same expert also mentioned that some genetic modifications were becoming routine and could be performed by high school students, especially if sponsored by biotech firms. In conclusion, a diffusion of biotechnology into the public domain was to be expected. Lab members peppered their speech with hacker lingo: a clever solution to a difficult problem was a “hack,” and to intuitively and deeply understand something was to “grok” it. Instead of “publishing” a paper, they talked about hurdling peer review as either “celebrating” their work or “sharing ideas” (Roosth 2010:90). In brief, as Roosth proposes, “an MIT-specific, hackerly and Open Source approach to biological construction [is] one that trades on the equation of DNA to source code and then posits that such code must be editable and shareable” (Roosth 2010:94). Furthermore, historian Luis Campos and sociologist Adrian MacKenzie both argue that, in the context of the emergence of synthetic biology as a global discipline, biohacking and, more broadly, open access were important semiotic-material borrowings used to establish several strategic institutional and educational initiatives (Campos 2012, 2013; MacKenzie 2009). Today, what Roosth calls the “hackerly sources of synthetic biology” (2010:83) have mostly faded away in what has become a fully institutionalized and global research field. Instead, the term has become part of a spinoff of synthetic biology, the Do It Yourself biology (DIYbio) network. Founded in 2008 and located largely in the western world, the DIYbio network is composed mainly of white, male, young, and/or disenfranchised academics from the life sciences and other natural sciences or computer engineering disciplines who see in the network an opportunity to revive their passion for science. They form community laboratories, but also work at home, or between university, corporate, and community laboratories. Frequent activities include the fabrication and selling of cheap and user-friendly laboratory instruments and kits; the extraction of DNA from fruits or buccal scrub samples using household ingredients; the genetic modification of bacteria or yeasts; the genetic identification of species, phenotype distributions, and gene variants; and the growth of bacterial and fungi biomaterials and the preparation of fermented products. These activities are often performed in collaboration with science festivals, sci|art events, educational charities, and modern craft fairs. The most advanced DIYbio groups collaborate with synthetic biologists or function as incubators for small biotech startups. DIYbio has attracted the attention of influential technology magazines as well as the mainstream media. By considering the historical context in which the politics of personal computers emerged, rather than just the socialities or the ethics of computer hacking movements, most biohacking initiatives could instead be called a “personal biology.” The politics of freedom, decentralization, and empowerment that made the personal and networked computer into a revolutionary spoke-technology (Turner 2006) profoundly mark the politics of biohacking. A personal biology is a socio-technical vision that results from the implosion of the legacy of the Whole Earth Catalog, the spectacle of grassroots American innovation (Tocchetti 2012), and “entrepreneurial citizenship” (Irani 2015). In this sense, biohacking as a personal biology is a practice established by a group of young and/or disenfranchised scientists in their uncertain attempt to come up with a technoscience that they can live through, and live with. 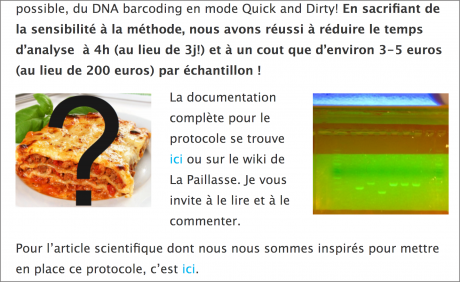 For instance, in the middle of the 2013 European horse meat scandal, Thomas Landrain, a major figure of the DIYbio network, posted on the group’s blog what he called a “quick and dirty” version of DNA barcoding, with an aim to enable everyone to determine what was on their plates. Figure 1: Industrial lasagna: the public question and the personal answer. On one side, a dish of appetizing lasagna is marked with a worrying question mark. 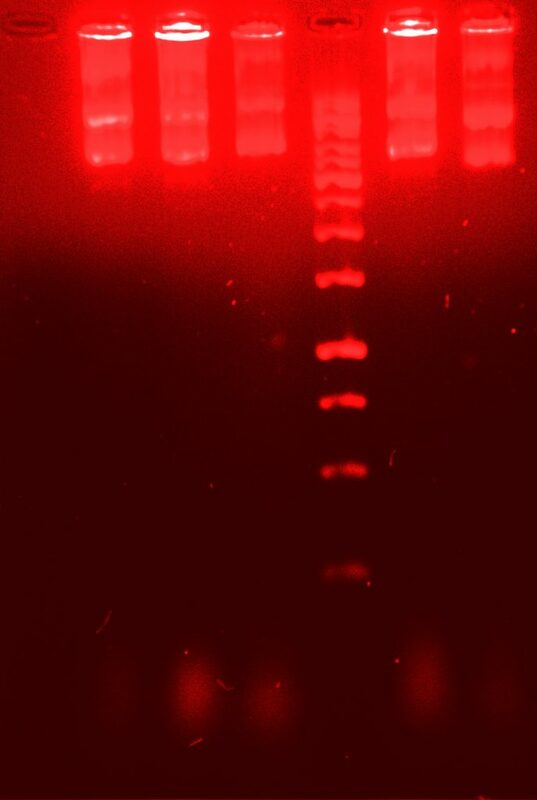 On the other side, “the answer” is glowing out of an electrophoresis gel produced during one of the barcoding experiments carried out at La Paillasse, the DIYbio public laboratory based in Paris. In the experiment described in the blog post, a cheap and quick hands-on version of a technique usually used in food laboratories becomes a demonstration of how science, when “put in the hands of people,” can enable individuals, including blog readers, to know the truth about what is on their plates. The convergence of post-financial crisis cuts in government-run food testing laboratories (Lawrence 2013a) and the breach in accountability of food supply chains under neoliberal economies and their collision with organized crime (Lawrence 2013b) are overshadowed by a joyful and empowering demonstration of a cheap and dirty genotyping workshop. The political complexity and contemporary crisis of institutionalized accountability in neoliberal democracies are not easy to blog about, nor is it easy to propose an interactive hands-on activity that can give an individual the impression of being able in some ways to address this crisis herself, even if only by analyzing the industrial lasagna on his or her plate. On the contrary, the activity of La Paillasse was suited to a blog post, literally giving the impression of putting agency back in the individual’s hands. Figure 2. The Internet enables incubator progress. Avery’s understanding that a technological intervention is also a political one is inscribed as a double meaning in his post’s title: “The Internet Enables Incubator Progress.” However, as in the previous example, a personal hands-on “solution” primes other accounts of, for instance, collective labor struggles and reforms in the life sciences and other professional sectors. Although brief, these examples illustrate that when understood as “personal biology,” the semiotic-material productions such as biohacking made possible by borrowing from computer hacking seem to be missing a structural and material critique that would take seriously the professional experiences of young and/or disenfranchised scientists by articulating those experiences with companion accounts of the epistemic and instrumental role of technoscience in the contemporary rearrangements of race, gender, social inequalities, and environmental struggles in our societies, which are becoming both increasingly neoliberal and conservative. To take this critique seriously does not prevent someone from taking a hands-on approach; instead, it entails thinking of these approaches in conjunction with a variety of individual and collective forms of civil disobedience and social organizing, including, for instance, demonstrations, occupations, strikes, petitions, direct action, investigations, whistleblowing, alternative and radical practices of science and technology, etc. These actions are largely ignored by individuals who claim to be biohackers. Biohacking is a good case to question the notion of the politics of reusable pasts and how their politics retrofit the understanding of the present for the individuals who use them. From the very first techno-storytelling to their early embodiment in the emergence of synthetic biology and their stabilization in the politics of the personal biology of biohackers and members of the DIYbio network, the semiotic-material productions of computer hacking seem to favor the politics of personal technologies, thus reducing the diversity of possible political fabulations about what it means to work and live in the era of Big Biology. In this sense, semiotic-material productions of computer hacking can be understood as a “reusable past,” if not actually worn-out semiotic-material productions. A bit like some of our favorite worn-out objects, these semiotic-material productions are not useless or meaningless; quite the contrary, their use and meaning is so normal and obvious that although we can appreciate the efficiency of the interpretations and actions that they enable, we become much less sensible to the interpretations and actions that these socio-material productions preclude. In Bialski’s piece in this issue, we learn how the actions of corporate software developers resemble those commonly attributed to “hackers” although the developers themselves claim not to be “hackers” (Bialski 2017). Her examples show how the semiotic-material productions of hackers seems to transcend their linguistic and personal identification to be adopted implicitly despite not being explicitly recognized by the actors who adopt them. In the case of biohacking, it is another type of implicit identification at work through the borrowing of semiotic-material productions. What is implicitly but happily adopted are the politics of personal technologies and its specific theories and practices of social change through the technological empowerment of individuals. In this sense, we should be sensitive to the various shapes and forms of “hacking” as well as to the conservative continuities of which semiotic-material productions are capable. Mine is an invitation to self-claimed biohackers (and DIYBio members sensible to this term), as well as to scholars who see in these initiatives an example of a truly participative science, to question the use of computer hacking as a usable past, and engage with forms of hands-on fabulations that are not only based on the politics of personal technologies but also seek to intertwine biohackers’ personal and collective experiences with feminist, race, environmental, and labor politics. Semantic-material fabulations such as, for instance, those by feminist hackers (SSL Nagbot 2016), and pragmatic critiques such as those proposed by feminist science scholars (Jen 2015) might well be the right tools to start the job. The term “reusable past” refers to the next step of what Christopher Kelty (2008), in a seminal study of FLOSS communities, has called a “usable past.” A usable past “is a more charitable term for what might be called modern myths among geeks: stories that the tellers know to be a combination of fact and fiction. They are told not in order to remember the past, but in order to make sense of the present and of the future” (Kelty 2008:65). 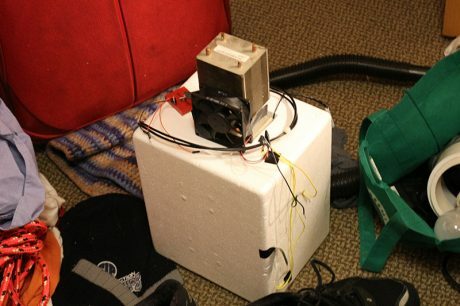 The use of the term “reusable” refers to the fact that usable pasts vested in present narratives, such as the ones related to computer hacking, can themselves be reused, such as in the case of biohacking. DNA barcoding is a technique enabling the identification of species using their DNA. The term and the technique were proposed in the early years of this century by biologist Paul Hebert. Bialski, Paula. 2017. “I Am Not a Hacker: The Hacking Practices of Self-Proclaimed Non-Hackers.” LIMN Number 8, this issue. Branwyn, Gareth. 2015. “On the Use of the Word ‘Hack’.” Make:magazine, October 11. Available at link. Carlson, Robert, and Roger Brent. 2000. ‘‘DARPA Open Source Biology Letter.’’ Available at link. Campos, Luis. 2012. “The Biobrick™ Road.” Biosocieties 7(2):115–139. ———. 2013. “Outsiders and In-Laws: Drew Endy and the Case of Synthetic Biology.” In Outsider Scientists: Routes to Innovation in Biology, edited by Oren Harman and Michael Dietrich (pp. 331–348). Chicago, IL: University of Chicago Press. Counsell, Damian. 2004. “Hacking the Code of Life.” Linux User 42:22–31. Cunningham, Collin. 2008. “How To—Macro Lenses Hack.” Make:magazine, September 28. Available at link. Davies, R. Sarah, Karin Tybjerg, Louise Whiteley, and Thomas Söderqvist. 2015. “Co-Curation as Hacking: Biohackers in Copenhagen’s Medical Museion.” Curator the Museum Journal 58:117–131. Delfanti, Alessandro. 2013. Biohackers. The Politics of Open Science. London: Pluto Press. Eudes, Yves. 2002. “Les pirates du génome.” Le Monde, September 18. Available at link. Golinelli, Stefano, and Guido Ruivenkamp. 2015. “Do-it-Yourself Biology: Action Research within the Life Sciences?” Action Research Journal 1–17. doi:10.1177/1476750315586636. Jen, Clare. 2015. “Do-It-Yourself Biology, Garage Biology, and Kitchen Science: A Feminist Analysis of Bio-Making Narratives.” In Knowing New Biotechnologies: Social Aspects of Technological Convergence, edited by Mathias Wienroth and Eugénia Rodrigues (pp. 259–293). Abingdon, UK: Routledge. Haraway, Donna J. 1997. Modest_Witness@Second_Millenium. FemaleMan©_Meets_OncomouseTM. London, UK: Routledge. Irani, Lilly. 2015. “Hackathons and the Making of Entrepreneurial Citizenship.” Science, Technology and Human Values 40:799–824. doi:10.1177/0162243915578486. Katz Sylvan. 1990. “Forum: Roses Are Black, Violets Are Green—The Emergence of Amateur Genetic Engineering.” New Scientist, January 6. Katz, Sylvan. “Roses Are Black, Violets Are Green: The Emergence of Amateur Genetic Engineers.” New Scientist 125.1698 (1990): 66. Kelty, Christopher. 2008. Two Bits: The Cultural Significance of Software. Durham, NC: Duke University Press. Kera, Denisa. 2012. “Hackerspaces and DIYbio in Asia: Connecting Science and Community with Open Data, Kits and Protocols.” Journal of Peer Production 2:1–15. ———. 2014. “Innovation Regimes Based on Collaborative and Global Tinkering: Synthetic Biology and Nanotechnology in the Hackerspaces.” Technology in Society 37:28–37. Landrain, Thomas, Morgan Meyer, Ariel Martin Perez, and Remi Sussan. 2013. “Do-It-Yourself Biology: Challenges and Promises for an Open Science and Technology Movement.” System and Synthetic Biology 7:115–126. doi:10.1007/s11693-013-9116-4. Lawrence, F. 2013a. “Horsemeat Burger Scandal: History Repeating Itself. The Guardian, January 16. Available at link. ———. 2013b. “UK Warned of Another Horsemeat Scandal as Food Fraud Rises.” The Guardian, October 10. Available at link. MacKenzie, Adrian. 2009. “What Is Design in Synthetic Biology? From Techniques to Reflexive Meta-Materials.” [Unpublished paper] Available at link. McAuley, P. 2000. “Danger—Hard Hack Area.” Nature 404(2):21. Regis, Ed. 1995. “Hacking the Mother Code.” Wired, June 27. Available at link. Roosth, Sophia. 2010. “Crafting Life: A Sensory Ethnography of Fabricated Biologies.” PhD dissertation, Massachusetts Institute of Technology, Cambridge, MA. Schrage, M. 1988. “Playing God in Your Basement.” The Washington Post, January 31. ———. 1992. “The Coming Wave of Bathtub Biotechnology.” Los Angeles Times, September 17. Available here: link. Seifert, Franz. 2015. “Converging Technology and Critical Social Movements.” In Knowing New Biotechnologies: Social Aspects of Technological Convergence, edited by Mathias Wienroth and Eugénia Rodrigues (pp. 326–356). Abingdon, UK: Routledge. Söderberg, Johan, and Alessandro Delfanti. 2015. “Repurposing the Hacker: Three Temporalities of Recuperation.” (June 23, 2015). UC Davis Previously Published Works. Available at link or dx.doi.org/10.2139/ssrn.2622106. SSL Nagbot. 2016. “Feminist Hacking/Making: Exploring New Gender Horizons of Possibility. Journal of Peer Production 8. Available here: link. Tocchetti, Sara. 2012. ‘‘DIYbiologists as ‘Makers’ of Personal Biologies: How MAKE Magazine and Maker Faires Contribute in Constituting Biology as a Personal Technology.’’ Journal of Peer Production 2. Available here: link. Torrone, Phillip. 2006. “Banana Hook Hack.” Make:magazine, November. Available at link. ———. 2010. “Mailing Yourself Money to Get Out of Paying Taxes Hack (Doesn’t Work).” Make:magazine, April 28. Available at link. Turner, F. 2006. From Cyberculture to Counterculture, Steward Brand, the Whole Earth Catalog and the Rise of Digital Utopianism. Chicago, IL, and London, UK: University of Chicago Press.